Posted on January 11, 2018 at 4:49 pm. Politics has finally gotten interesting as the Tasmanian Liberal Party has chosen to take the opposite stance on poker machines to Labor. At the end of 2017, the Tasmanian Labor Party announced a policy to phase out all poker machines from pubs and clubs in the Australian state by 2023, should it win the election in 2018. While anti-gambling campaigners praised the policy and urged its opposition to follow suit, Liberal has started 2018 by winning club owners and poker machine players over. 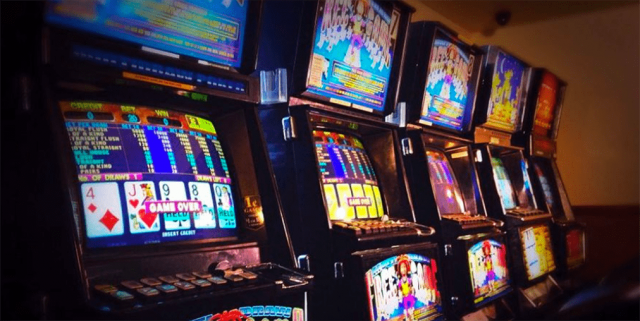 The Liberals have confirmed all pokies will remain in Tasmanian pubs and clubs in the state should the Party be re-elected in March. The Party has also promised Federal Group a 20-year extension on its current casino licences, along with a licence for a MONA high-rollers casino. But the Liberal Party doesn’t want to cuddle up to the Federal Group, which holds the monopoly of poker machine licenses in Tasmania until 2023. Under Liberal’s proposal, poker machine licences will be available to individual venues for up to 20 years, after the Federal Group deal expires. There will be a cap on the number of machines in pubs and clubs, limiting them to 2350. Venues will also receive larger poker machines returns, while the government will retain more tax. Federal Group spokesman, Daniel Hanna, revealed that the company would have to pick its battles. “The company has some concerns that the policy will mean a further reduction in the share of gaming revenue received and does not provide the certainty or clarity beyond 2023 sought by the company,” he said. Liberals choice to go in the opposite direction to Labor has been explained by Treasurer, Peter Gutwein, who said the Party’s overall goal is to protect jobs and the rights of responsible gamblers. “I want to make the point that 99.5 percent of Tasmanians are able to gamble responsibly and we believe as a party very strongly people should make up their own mind about whether or not they gamble and importantly where they gamble,” he said. But the Party isn’t leaving the small minority out in the cold, with plans to double the amount of money that goes into harm minimisation strategies and community projects, from $4.4 million to $9 million. Labor has taken a swipe at Liberal, claiming that the latter party sold out to the gaming industry. We’re sure the two parties have other policies, but its appears poker machines will determine who wins. If you’re looking to play the pokies/poker machines/slots, you can head online and play hundreds and hundreds of titles. These games are different to what you find in land-based venues as they are more entertaining and interactive. If you like the sound of getting more for your money when playing the pokies, we recommend players from United States check out our favourite site Bovada Casino.